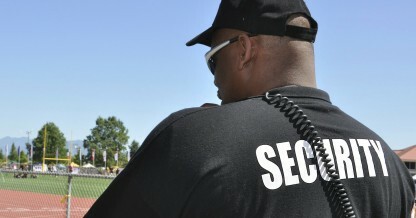 Security Guard - includes in-house security guards (persons employed by a business that does not hold a security business license such as a hospital, retail store or a university), loss prevention workers, body guards and doorpersons at establishments licensed under the Liquor Control and Licensing Act. Security Guard under supervision (90 day license) - a security guard under supervision must be supervised by a fully unrestricted security guard at all times while on duty. Upon successful completion of the Basic Security Training (BST) course, you must meet all licensing requirements as set out under the Security Services Act and outlined by the Security Programs and Police Technology Division of the Ministry of Public Safety and Solicitor General. Sting Executive Group International, Inc. is accredited to teach the BST/ABST, AB Professional Investigator Training, does fingerprinting and can assist with e-licensing. Complete Request for FINGERPRINTING form (#SPD0507) - Take to Sting Investigations to get fingerprinted.